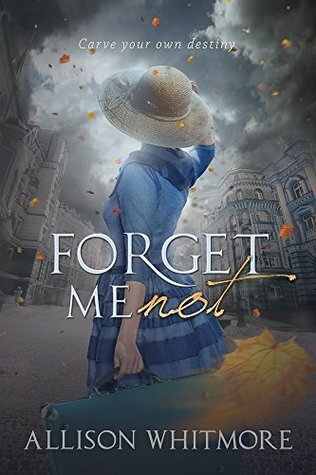 Forget Me Not by Allison Whitmore. Audience/Genre: Historical, Romance, Young Adult. Theodora “Teddi” Donovan and Calvin Wynne have always hated each other. They didn't have a choice after Teddi's bootlegger father killed Calvin's and left them both orphaned. The scandal has fueled gossip in quiet, quaint Brookhurst, New York, for over a decade. When a friendship develops between them as teenagers, they are ridiculed and shunned by the strict society that dictates life in their town. As they grow older, friendship turns into love, and Teddi and Calvin have to choose between their future and the scepter of their past. Spanning continents and decades, Forget Me Not is a coming-of-age story about truth, self-reliance, and the freeing power of love. Water reached his upper calf at the bottom of the shoreline road. It didn't look like anything he'd seen before. Homes that had been there hours before were gone; piles of debris lined the blocks before him. He nearly dropped Teddi several times. Thankfully, the center of town was not flooded. He stopped for only a minute, in order to catch his breath. “You okay, Teddi?” he asked as her eyelids fluttered open. She nodded. “I can walk if you want me to.” She sounded even weaker than she had in the lighthouse. Calvin’s heart clenched. “You just hold on to me; I’ll get you home.” He held her closer and began walking again. It was Cindy Marchbeck, running toward him, waving her arm. Calvin noticed he was in front of her father’s hardware store. He spotted Mr. and Mrs. Marchbeck, Cindy’s sister, Harriet, and their younger brother, standing outside, handing out supplies to a group of men. He wondered briefly what they were doing, but then Cindy was upon him, hovering over Teddi. “Did she get caught in it?” the slightly older girl asked, brow furrowed. “No,” Calvin grunted. “She’s sick.” The words tumbled out of his mouth as he started walking again. “Doc Jessup and his assistant are up at the school,” she said, still following along as Calvin sped up his stride. “Some of the people who were hurt were rushed over there. A couple of kids, too. I don’t know whose. Dr. Reed and his wife are going from house to house, but I think they are somewhere on the other side of town looking for the injured. Oh, Calvin, this is a nightmare.” Cindy began to cry, her normally pin-curled strawberry blonde hair hung in a straight dull mess over her shoulders. Under any other circumstances Calvin would have made an effort to comfort her, but he couldn’t take his mind off Teddi. She needed him to stay focused. “Do you know how many people are at the school?” he asked, still moving. “Is that Teddi Donovan?” she asked as she moved closer to study Teddi's face. “Yes,” he grunted again, irritated that she'd asked at all. “No!” he practically roared, his senses acute. Calvin did not answer. He wasn’t going to argue with Cindy Marchbeck when Teddi could be getting worse. He repositioned her in his arms before moving his feet faster in the direction of the Donovan home. She was going to be okay. He would make sure of it. 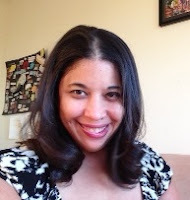 Allison Whitmore started her first novel, Forget Me Not, one icy morning in her dorm room in Southampton, NY. After many years of teaching high school English, she came back to the novel to rewrite it. Allison comes from a family who loves history and enjoyed immersing herself in the research that brought Teddi and Calvin’s world to life. She lives in her hometown, Los Angeles, California. You can find her on Twitter @alli_whitmore and her website: allisonwhitmore.comor on Facebook. This sounds like a cute book friendship turns into love, it is nice name and cover, very inviting! Thank you for hosting. Thank you for the excerpt and giveaway. I love a good romance novel. Would love to read it! Thanks for the giveaway. Looking forward to doing some serious shopping. I wonder if these two will grow to like each other. https://youtu.be/0cs09QaxABs / Does anyone remember this song? "Forget Me Nots"
This reminds me of elementary school. Thanks for sharing it, Misty. I love this genre and this sounds like a great one. What a great read this promises to be. Thank you, Kelly and thank you everyone! I'm interested in how the story will spread over continents after being in a strict town. Looks like a very interesting story. I look forward to reading it. It sounds like a good story and I can't wait to read it! Great cover. Really like that. It also sounds like a really fun story to read. thanks! Good Golly Miss Molly . Looks like a great story & read.Wow, prize amazon gc is fab. & splendid. 2 fingers snap. It is tight, fly & off the chain. Thank you for the awesomeness, the contest, and generosity. :) Pick me, pick me! Dear Santa: I’ve been nice. My X-Mas wish this year is to win this contest. Starving artist here desperately needs the gc to shop and eat. A life changing exp. I love the cover! Sounds like a great, interesting read! Thanks! When you sat down to start this book, what was the biggest challenge you faced? What were you most excited about? Oh this book sounds so good! I love the historical romances, and love when they do not like each other at first. Cannot wait to read and see what happens with Teddi and Calvin! This book sounds great and I would love to read it. Great excerpt! Thanks for sharing!